The sides of the roads in Cork, as in many parts of Ireland are bright with montbretia (Crocosmia x crocosmiiflora) and fuchsias – naturalised but not native. I didn’t post yesterday – it has been a busy weekend. 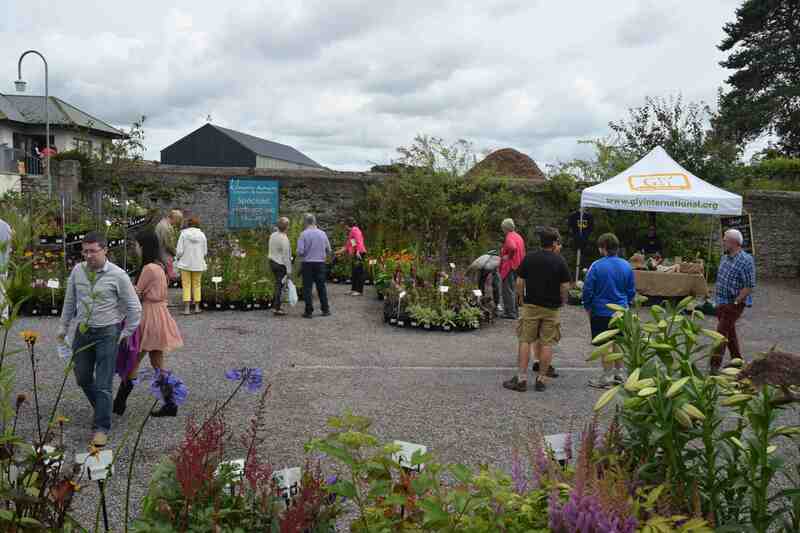 On Saturday I was judging the fruit and veg at a nearby flower show and yesterday I was at the Ballymaloe Garden Festival. This weekend of gardening is now well established and the weather was dry, unlike here in the sunny south east. 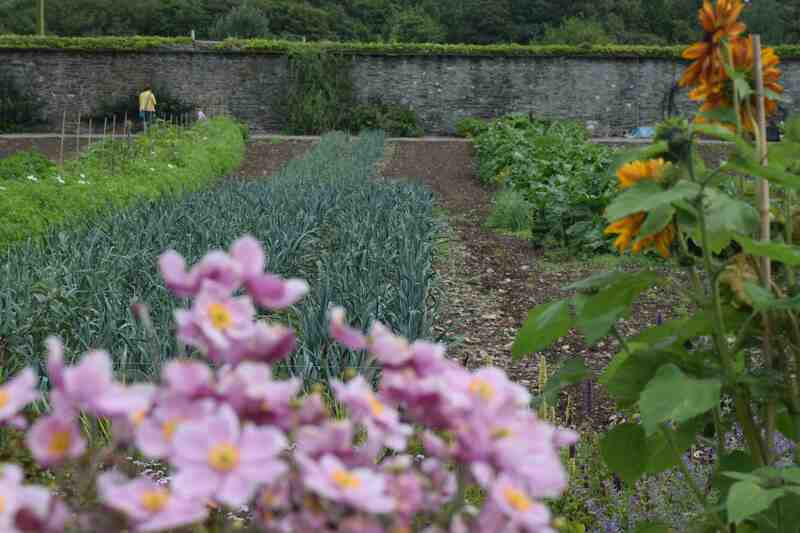 There were talks all day, including mine on growing fruit, and the chance to see the walled garden too where lots of veg is grown for the restaurant which is famous for its good food. 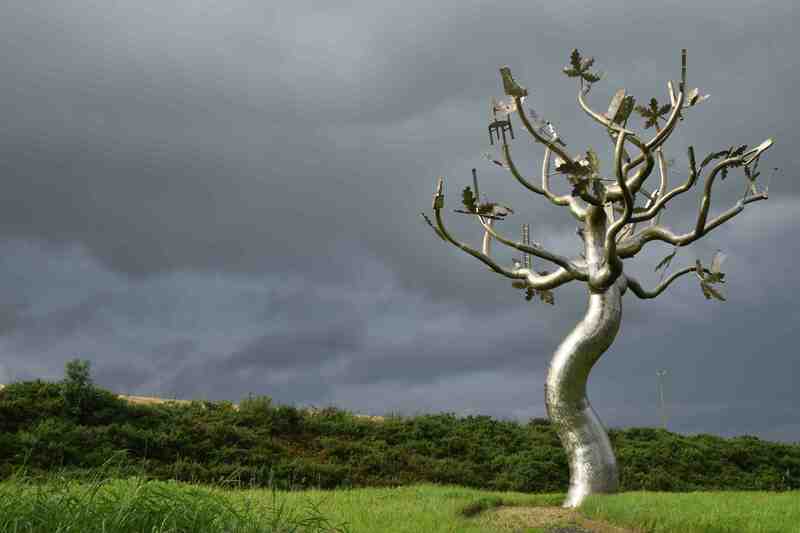 On the way back, heading towards the rain again, I did something I have meant to do for the past 30 months I have been here – stop and take a photo of the metal tree beside the N 30 road that links Enniscorthy and New Ross, near Clonroche. The sun was behind me and there were rain clouds ahead and even a washed out rainbow so I decided that this was the time I had to stop. The tree was installed in 2006. It was designed by Denis O’ Connor and was selected from five designs submitted by artists. 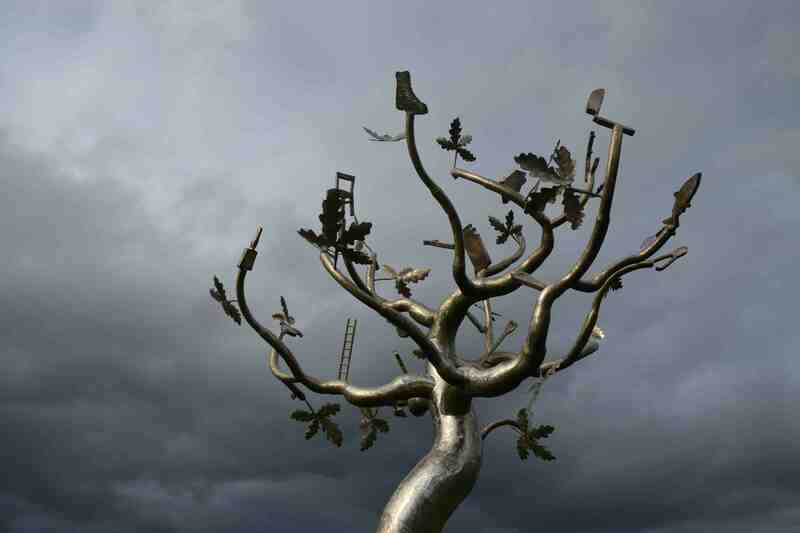 The basic oak tree design, 6m high, is made of steel and is enhanced with ‘leaves’ representing objects chosen by pupils of St. Aidan’s National School in Enniscorthy. As you drive through Ireland you will see various public artworks, funded by Local and National Government, installed in the Celtic Tiger years when money was a bit more abundant. It is easy to say that such objects are a waste of money but they do involve the local community and even the least obviously beautiful do enhance lives. As for this oak tree, I look at it every time I pass it. 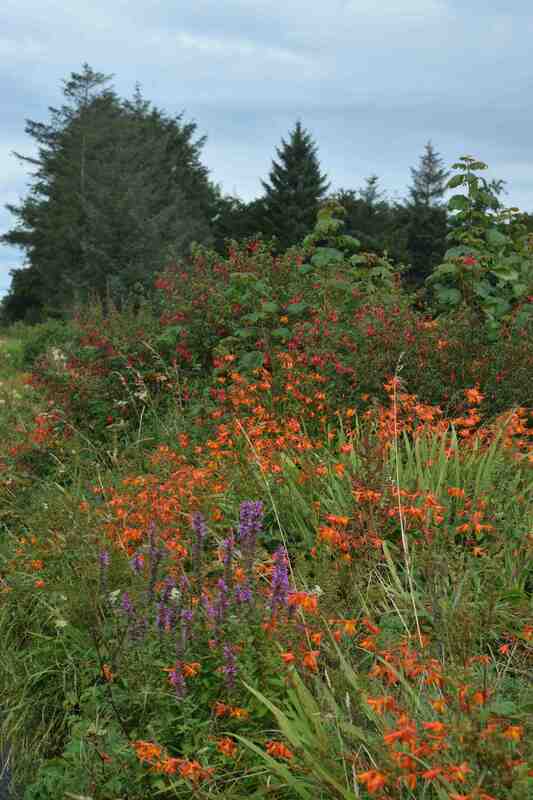 Ireland is so clean and beautiful, wild flowers on road side? That’s a rare sight for where I’m from. Hello. Well Ireland is largely rural and agricultural and there are lots of wild flowers though crocosmias are from South Africa and fuchsias from South America but they love the mild, wet conditions here. Sounds like a great day out, and the tree is actually very cool. I like the idea the artist had of including young minds to participate in his creation. I have heard that the weather in Ireland this summer has been quite nice, sounds like a little less rain? I think summer has been average – ish. It has not been as good as the past two years and the weather seems to get stuck in a rut with weeks of one thing and then another. We seem to be in a wet spell at the moment! When I first looked at the tree picture I thought there were crows sat in it. Once I’d put my glasses on I could see the oak leaves! Lovely! I wonder if the birds use it as a perch?